Use any size can of tomato paste. It will be 1 part tomato paste 4 parts water. 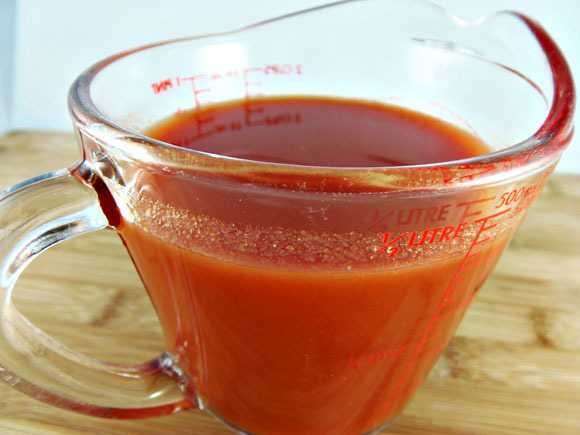 Open the can and scrape the thick concentrated tomato paste into a large jar or juice pitcher. Fill the can with water 4 times, and pour the water in with the tomato paste. Stir it up really well. It will be unsalted, but you may add salt to taste if you like. Also you can add a little Hot Sauce or Worcestershire Sauce for flavor. Use it anywhere you would regular canned tomato juice.